So in the counsel of one wise Puritan, let us be like the ancient fishers – always mending and tightening our nets by making sure our theology is biblically sharp and earnestly applied. 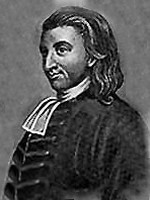 This entry was posted in Preaching, Puritans and tagged Thomas Boston. I cannot understand why many are not flocking to these treasures!